WHEN a sports person breaks a collarbone, they generally leave it to the professionals to guide them in their recovery. It can get a bit tricky, though, if the sports man nursing a collarbone injury is also a physiotherapist. Clare and Clondegad footballer Shane Brennan earns his living as a physiotherapist. Self-employed at the Clareabbey Primary Health Centre in Clarecastle and working part-time for the HSE, he’s the man to talk to if you break your collarbone. He’s probably not the man to treat you though when he has a broken collarbone himself. “A little bit of knowledge is an awful thing. I would be more aware of certain aches and pains and what they might mean. That leads to me asking a few more questions. I was up with my consultant the other day and I’d say I drove him mad asking questions,” Brennan was honest enough to admit. 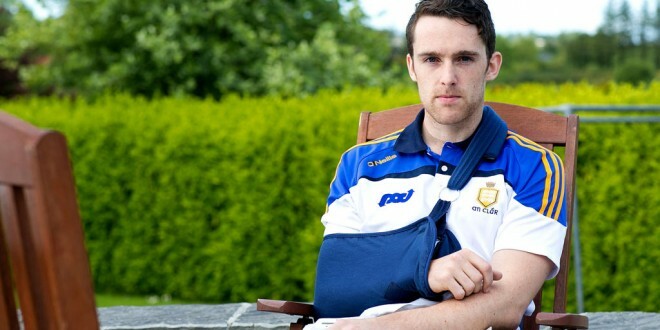 He broke his right collarbone playing for Clare against Limerick in Cusack Park on May 23. 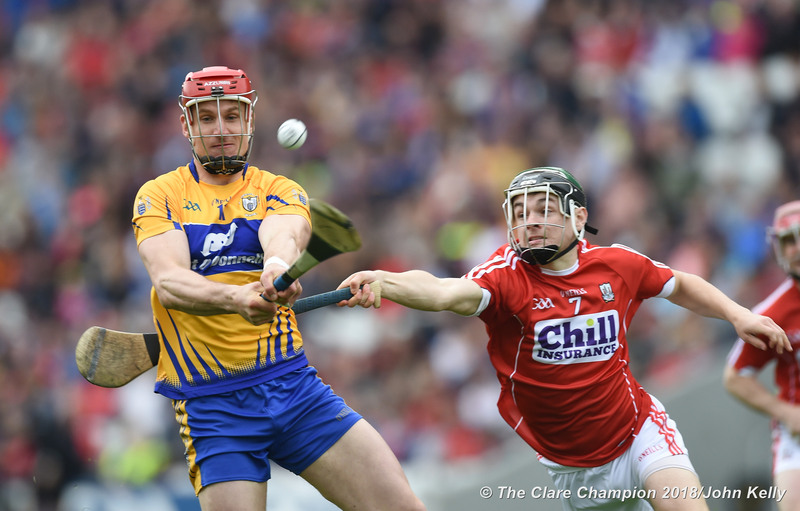 The injury is expected to take about six weeks to heal, so if Clare beat Cork on Sunday, Brennan should be available for the Munster final on July 5. The weeks ahead could be long ones, though, for Brennan’s consultant. “He was saying it was fine and there was nothing to be worried about. I was asking all kinds of questions and the muscles and the amount of movement I was going to have afterwards. For a finish, he said, ‘look it’s fine, you’ll be grand’. I’d say another person might put up with it but I was thinking of the worst possible outcome because I have seen the worst outcomes. I have been very lucky that I haven’t needed surgery. I had a few times where I was thinking, ‘this is worse than it should be’ and I was ringing everyone that I knew who had a collarbone injury asking them was this normal or not? I’m a terrible patient,” he eventually conceded. 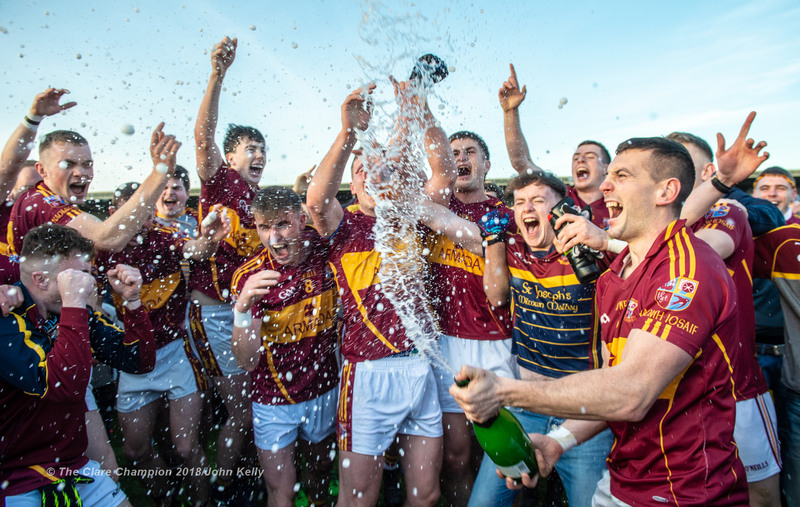 On the county senior football panel since 2011, Brennan has put down almost three very boring weeks. “Pain you’d put up with but, psychologically, the act of not getting up and going to work or training, that’s the toughest thing for me. I wouldn’t be a great one for sitting down and doing nothing, although my mother might contest that. Generally, I’d like to be up and about and doing things. Coupled with that, I haven’t been sleeping well for the last two weeks which is a bit of a nightmare. In saying that, I’ve got a bit of perspective in the last week, with Podge getting his injury. I realise it could be a lot worse. Four to six week is a short time in comparison,” he acknowledged. Work wise, Brennan has had to hire somebody to cover his practice, which the Royal College of Surgeons graduate only established in recent months. “That has been an issue. The clinic is in its infancy and I didn’t want to have a period of time where we had no cover. So I have hired somebody to cover for the few weeks. “I’m out of pocket for a little while but I’m very lucky that I’m also part-time employed by the HSE in Limerick and they have been really fair to me. I’m on sick leave from them. It really shows me how reliant I am on that job with the HSE. If I was purely self-employed, and this is a warning for me, I would be taking a huge hit for the next few weeks. 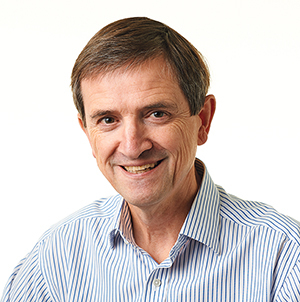 “While there are huge advantages throughout the year being self-employed, now you are seeing the other side of being self-employed,” he has found. Injured, off work, at home alone and tired of his own company, Brennan can’t wait to cast the sling aside and get back to normality. “I pretty much haven’t left the sitting room. That’s another thing that has been frustrating. If you were going to training and you felt like you were still part of it, that would be fine but with something like this, you are completely out of it. There is nothing I can do. I could hop on the bike maybe at this stage and do a little bit of cycling but it’s still not the same. “You miss being in around and having the craic with lads but, to be fair, the lads have been good. They have got in contact and Marty O’Leary, who is injured as well, has been calling over to me and keeping me company. You’d think that three weeks on the couch would be grand but when it happens, you’re thinking ‘what am I going to do here?’ It’s boring enough,” he reiterated. He is much more upbeat when assessing Clare’s chances in Páirc Uí Rinn. Brennan is certain that Clare, led by his brother Gary, will turn in a huge performance once the ball is thrown in at 3.30pm. “No matter how many injuries we have, we have such a strong squad that I don’t think there is any fear of Cork. It would be very easy, after a few lads getting injured, to say ‘we could have had a right effort if only these lads were there’. But this group isn’t going to be the type of group that is going to be saying ‘if only’. We’re going to have a right crack at Cork,” he forecast. While not togging, he says he’ll do anything asked of him to aid the cause. Brennan points to Clare’s second-half wobble but subsequent recovery against Limerick as a sign of their maturity. “In previous years, there is no chance we would have come out of that game. There is no denying that. There is something about this team. It has a good character about it and good depth,” the Clare attacker observed, as he counts down the days to his comeback.